Though that is the main selling feature on some anchor points, there are times when your attachment may fail before 5000 lbs. What good is an anchor point that can hold 5000 lbs when it will shear off your wall or building far before reaching its capacity? A 5000 lbs. 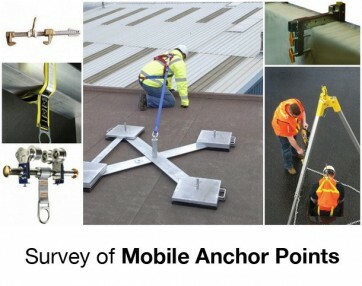 anchor point may not be required according to OSHA. By misinterpreting the OSHA ruling on anchor points, you are significantly limiting yourself in areas that are already lacking options. 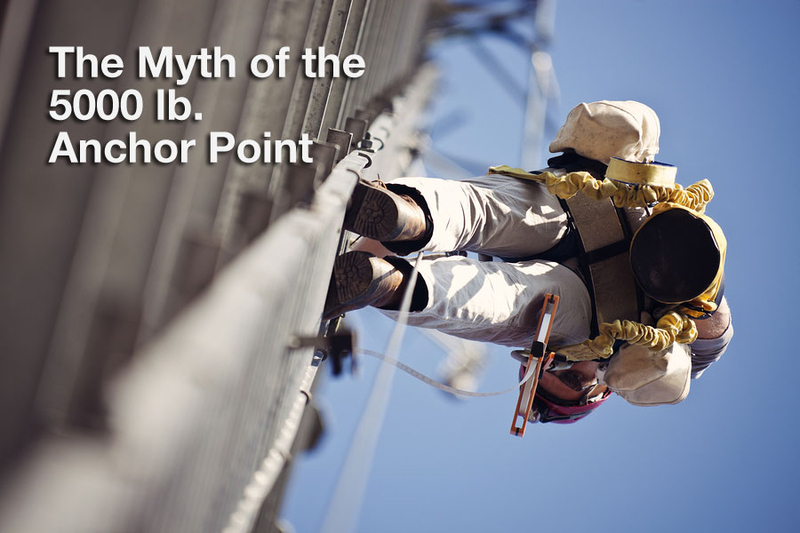 Let's clear up what OSHA says about the load requirements of anchor points. Why do we believe this 5000 lbs rule? For starters, OSHA does say in 1926.502(d)(15) does say, "Anchorages used for attachment of personal fall arrest equipment shall be … capable of supporting at least 5,000 pounds (22.2 kN) per employee attached…"
This is certainly the simplest method of ensuring compliance. However, stopping here does not allow specific fall hazards to be addressed due to a lack of structural integrity. The next code, 1926.502(d)(16), speaks of these personal fall arrest systems. Jumping down to 1926.502(d)(16)(v), speaking of personal fall arrest systems (ie, anchor points, lifelines, etc. ), OSHA states the anchorage must, "...have sufficient strength to withstand twice the potential impact energy of an employee free falling a distance of 6 feet (1.8 m), or the free fall distance permitted by the system, whichever is less." There seems to be various theories as to why OSHA settled on 5000 lbs. In fact, when testing systems, you are required to use a weight of 220 lbs. (plus or minus 3 lbs.) at a freefall of 6’ [29 CFR 1926 Subpart M Appendix C]. The system would fail the force test if it recorded greater than 2520 lbs. of force during this test. If the system passes, a safety factor of two applied to 2520 lbs. would be approximately 5000 lbs. However, 5000 lbs. is where many people stop reading. It matters because the forces incurred during a fall of a 220 lb. worker who is utilizing a fall arrest system could be approximately 900 lbs., not 2500 lbs. Reason being that fall arrest systems have some type of deceleration device that engages after freefall and reduces the force. If we look at the "or" clause in the standard and apply the safety factor of two, it means that in this scenario our anchor point only has to support 1800 lbs. of force. That’s a huge difference from 5000 lbs. In reality, there may be many fixtures in your work area that don’t meet the 5000 lb. requirement but satisfy the 1800 lb. requirement - a roof truss, for example. By eliminating all potential anchorage points that do not meet 5000 lbs., we may be making a difficult situation unnecessarily more difficult. There is a flip-side, though. Consider the example: approximately 2500 lbs. of force is incurred when a worker weighing 220 lbs. freefalls 6’. In this day and age, many workers, with or without tools, weigh more than 220 lbs. What force does someone over 220 lbs exert on the system in a fall? Regardless of what it may be, we can assume it’s MORE than 2500 lbs. Therefore, the 5000 lb. 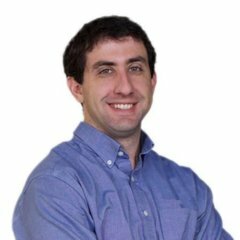 rule would seem NOT to support anybody over 220 lbs. In a note under 1926.502(d)(16)(v), OSHA addresses this and states that your system will be deemed to be in compliance if the worker’s combined tool and body weight is less than 310 lbs. Any combined weight 310 lbs. or more would require a modification to the system to ensure it accommodated the extra weight. Now, this doesn’t mean we can go tying-off to things all haphazardly. 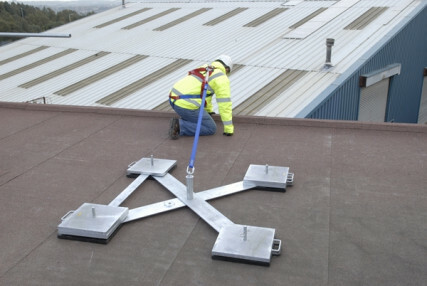 Whether reducing the capability requirement of an anchor point for use with a fall arrest system or increasing it due to a heavy worker, it is vital that you don’t guess at capacities and imposed forces. Documentation is the key. Rather than make assumptions, check the manufacturer’s paperwork to see what the numbers actually are. If that doesn’t give you the answers you need, have a PE perform the necessary calculations to determine if what you plan on doing is sufficient. Keep in mind, you can always choose to keep it simple and stick with the 5000 lb. requirement for your personnel and subcontractors (though you would still need to make adjustments for any combined weights 310 lbs. and above). You can also choose to go above and beyond what OSHA requires. In this case, going above and beyond could reduce the chance that something is done incorrectly. Following the regulation as written, though potentially more complex, could open up new, perfectly safe solutions that were never before an option. 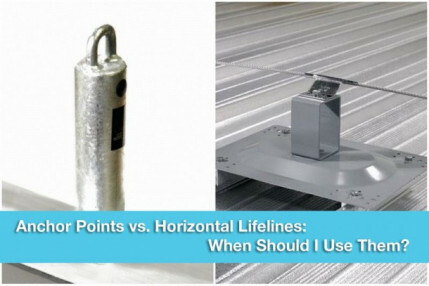 Anchor Points vs. Horizontal Lifelines: When Should I Use Them?